There are a lot of things that you could say about Republican presidential candidate Donald Trump. His unabashed and off-the-cuff delivery provides an endless well for attacks. 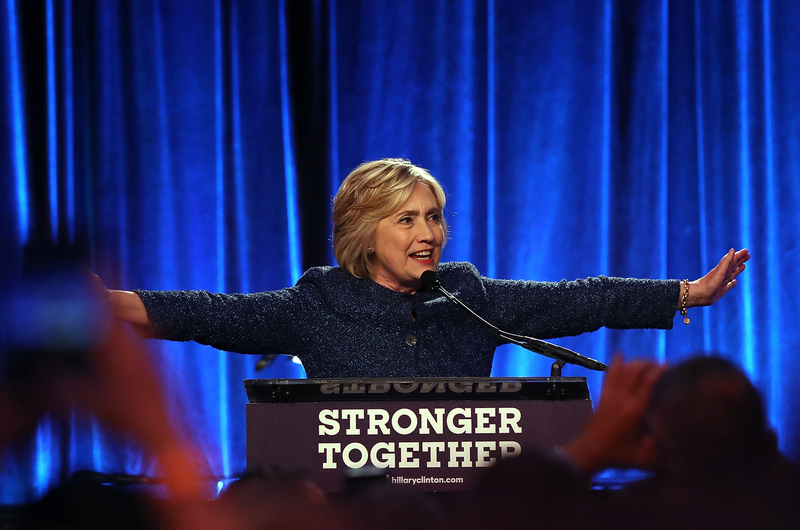 So it was strange that in front of a group of donors on Friday, Hillary Clinton attacked Trump's supporters, saying they could be put into a "basket of deplorables." These seven "basket of deplorables" tweets show how the internet, as it is wont to do, promptly lost its mind, but this time it was a for a pretty valid reason. Clinton made the remarks at a LGBT for Hillary gala in New York on Friday, Sept. 9. As Politico noted, it wasn't the first time that Clinton had used the kind of bizarre metaphor, but her extended explanation might have landed her in hot water this time. "You know, to just be grossly generalistic, you could put half of Trump's supporters into what I call the basket of deplorables," Clinton said, drawing laughter from the audience. She then continued: "The racist, sexist, homophobic, xenophobic, Islamaphobic — you name it,” Clinton continued. “And unfortunately there are people like that. And he has lifted them up. He has given voice to their websites that used to only have 11,000 people — now have 11 million. He tweets and retweets their offensive, hateful, mean-spirited rhetoric." Others noted that Clinton's comments about the basket of deplorables wasn't nearly as offensive as many of the things that Trump has said since he began his campaign, and that Clinton was targeting the very supporters who were won over by his controversial comments. Sure, that's fair. There have been some Trump supporters who have cheered along some of the worst platforms of Trump's campaign, including his tirade against undocumented immigrants. But still, even if there is some hypocrisy to be exposed here, I can't help but feel as if the very kind of name-calling that Clinton constantly endures from Trump and his supporters would be an effective strategy for her. Clinton pledged that she would run an inclusive campaign, and her "basket of deplorables" comment brings her down to Trump's low level. So though it's fine to call out the fact that Trump is no angel (as if we needed to be reminded), Clinton should probably save the attacks for the candidate himself — not his supporters.